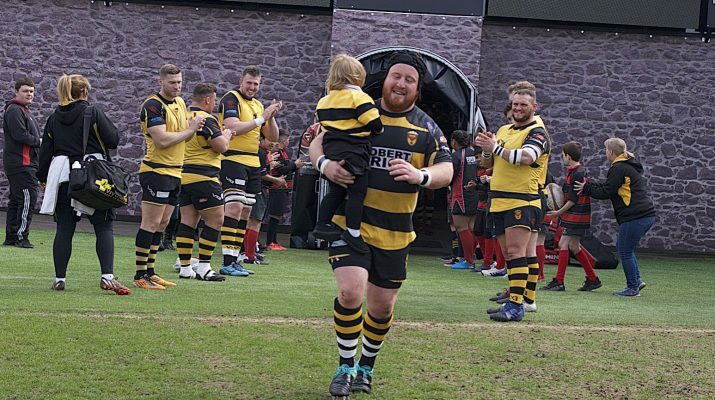 Sunday’s game against Pontypridd saw Newport tighthead Tom Piper make his 100th appearance in the black & amber jersey. Newport born and bred the popular front row forward led the team out into the pitch in the company of his young daughter. Although the result didn’t go the way either Tom or the Newport faithful wanted the Piper family all had a great day out watching Tom put in a good performance once again on his special day. Tom has made his 100 appearances in only four seasons at Rodney Parade as he consistently makes the match day 22. His reliability and ability to avoid the injuries have seen him quickly reach this important landmark. Congratulation to Tom from everyone associated with Newport RFC.